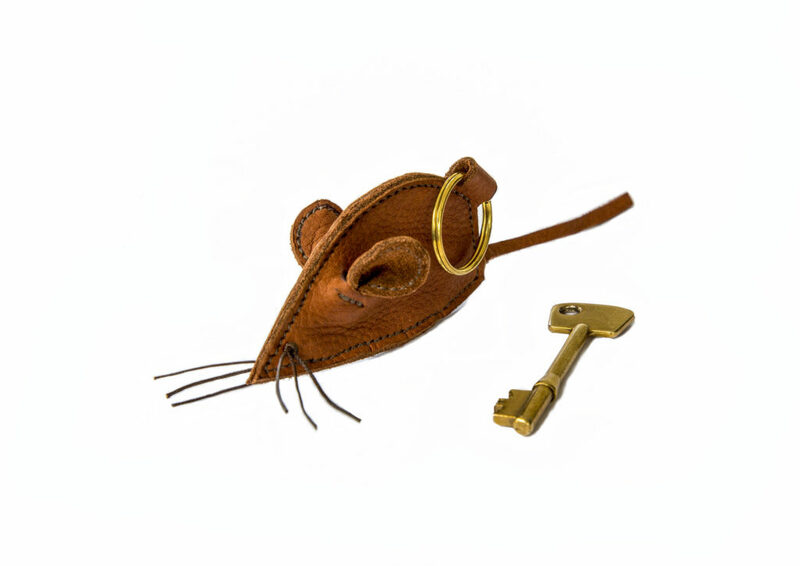 This leather mouse key ring has been made from off cuts of the leather we use to make our animals. The leather has been left unstained and is wax polished only. The eyes and whiskers are attached by hand using waxed thread. Dimensions: approx 9cm in length, 5cm in height and 0.5mm in thickness. The Omersa animal is primarily designed as a decorative accessory for the home and office. The larger sizes (described as large, medium and standard in size order) can be used as a footstool whilst the smaller pieces (described as small and miniature) are more suitable for decoration. The internal metal and wooden frame will withstand average adult weight and a certain amount of rough play but please be aware the product is NOT built to furniture standards. The product is designed primarily as a decorative item for the home. It is NOT built to furniture standards and the internal frame will only stand a certain amount of rough play! If the colour of your animal does fade and you would like to darken up, please purchase a bottle of stain to apply. To get best results, Nikwax should be applied after re-staining. 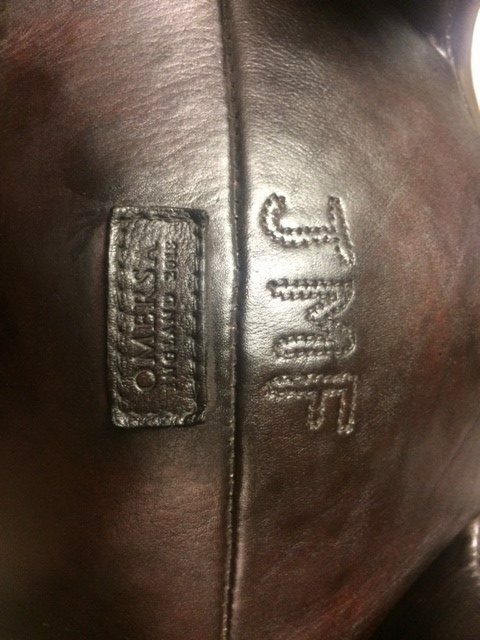 We are able to personalise a piece by machine stitching initials onto the animal. The charge is £5 per initial. It is recommended that a maximum of 4 initials are used due to space restrictions. Please enter the initials you require in the Comments Box on the order form. Pay for the number of initials requested. In most cases it is best to stitch on the underbelly. If you have a preferred alternative, please contact us to discuss. We can supply a replacement tail, pair of ears etc for your animal. It is best to send a picture first of your animal so we can confirm with you the type and size of replacement parts you need. You can then specify this size in the comments box on the order. PLease note that we use cowhide leather today which has quite a smooth texture. We cannot “rough” it up to blend in with old/worn leather. It is recommeded if you are acrrying out a restoration project that you also purchase 250ml brown stain and a tube of nikwax. This will help blend in the colour of the animal with the new pieces. The Nikwax would be applied at the final stage once all sewing/colouring has been completed and is great for the leather. This liquid wax is a revolutionary new product from Nikwax. 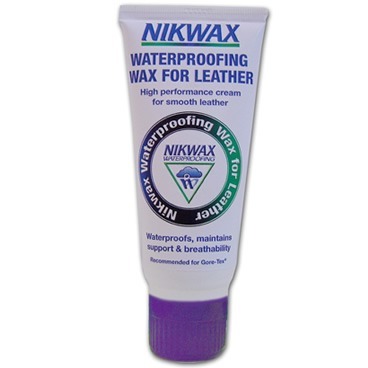 It is a brilliant waterproofing wax that can be used on either wet or dry leather (used for walking boots etc). Its fast acting, deeply penetrative ingredients add water repellancy, reduce water absorption and maintain breathability. Its also revives the appearance of leather and maintains its suppleness. It comes in a handy tube with a sponge. Apply with the sponge provided or if prefer stick to tradition and rub in with a soft cloth. Replacement pair of eyes with string. For instructions as to how to insert them, please refer to “Animal Hospital – Instructions for Eyes”. 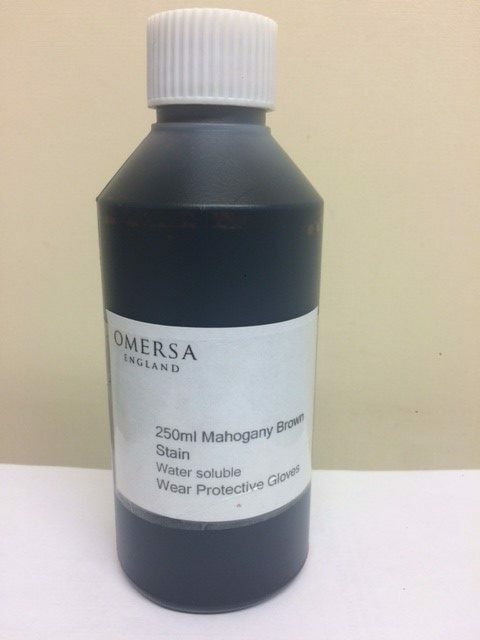 We can supply our water based Mahogany brown stain to cover over water stains, scuff marks or to restain your faded animal . It needs to be applied sparingly and with care. After application, it is recommended you apply a coat of liquid waterproofing nikwax to nourish and revive the leather. Supplied in a plastic bottle with screw cap. Instructions included. Select your country to see the available shipping costs for this animal.